The U.S.-Mexico border seems to constantly be in the press. Nearly every day, I get a call from a reporter or outside party asking my opinion on trade and the U.S. tariffs being imposed on other countries, and how this is affecting our economic development progress. I am also constantly asked about border security, President Trump’s proposed border wall, and how each topic affects our daily lives and businesses. The latest hot topic is the separation of undocumented parents from their children at the border, and their incarceration in what have been reported to be harsh conditions. Politicians from every strata of government have come to the border to voice support against the separation of families, or to see for themselves the detention facilities in which children of the undocumented immigrants are being housed. Although it is not a trade-specific issue, I have been asked quite a few times how the controversial separations are affecting our ability to conduct cross-border trade, and this is how I respond. 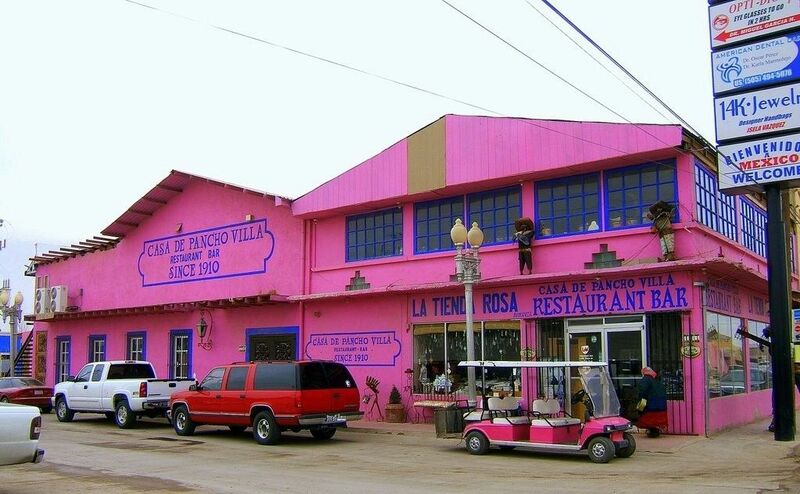 From a business standpoint, commerce continues, and people keep working despite what is occurring in nearby areas such as Tornillo, which is housing many of the children. However, from a spiritual situation it has affected businesspeople at the border greatly. This issue tends to dominate most discussions around cookouts, family gatherings, and cocktail parties that I recently have attended. I have yet to encounter, even among the hardest core Trump supporters, anybody that supports the separations. Most of us have children, and it is unimaginable that this would happen to our families. If you work on the border, you automatically become an ambassador for our region to non-border dwellers. Everybody wants to know if what is reported in the news or what the President tweets is true. No, we are not being overrun by a swarm of criminals and bad elements in what the President has called a “porous” and “unprotected border.” And no, most of us do not consider Mexico an adversary, or even an enemy whose sole mission is to destabilize the U.S. and take away its jobs. Rather, most of us consider Mexico to be a friend and a valuable trading partner that we interact with on a daily basis. In this sense, I wish the real story would be how well both sides of the border get along and how well cross-border cooperation works. This is so obvious when you live and work here that it becomes almost an afterthought. In light of the anti-Mexico trade, immigration, and security rhetoric that the White House continues to espouse, we need to strongly emphasize these facts. I am not suggesting that the separation of children from their parents and their incarceration can be whitewashed by changing the discussion – this topic should force introspection as to how we conduct ourselves as a nation, and how we treat the most vulnerable people who are brought here in horrible situations. However, rather than allow our situation to be painted for us through inaccurate reporting or tweets, we need to be vocal ambassadors for daily life at the border. We need to emphasize to the world that we have the most intermeshed border between two major nations in the world. We share a long and common history, culture, and trading relationship. In contrast to the accusations that the border is akin to the “Wild West” where lawlessness is rampant, the City of El Paso, the biggest U.S. city directly on the border, consistently ranks as one of the safest cities in the entire U.S.
Cooperation for the good of both of our nations is logical and happens every day. We depend on each other for our livelihoods and education. During the past 25 years, New Mexico has steadily built an industrial base on its border with Mexico that has created thousands of jobs, hundreds of millions of dollars in investments, and billions of dollars of exports to Mexico. This is occurring in a state that when I started my career ranked below Delaware in terms of exports to Mexico. Unfortunately, these are the stories that tend not to dominate the press when families are being traumatized by the harsh stance the U.S. has taken with immigrants at the border. This certainly is a more sensational issue that rightfully demands to be reported, even if it shines a bad light on our nation throughout the world. I support secure borders, but we are better nation than this. Rather than let our non-border countrymen and the rest of the world believe that we live in a place of misery where children pay a stiff price for the actions of their parents, we need to change the rhetoric. 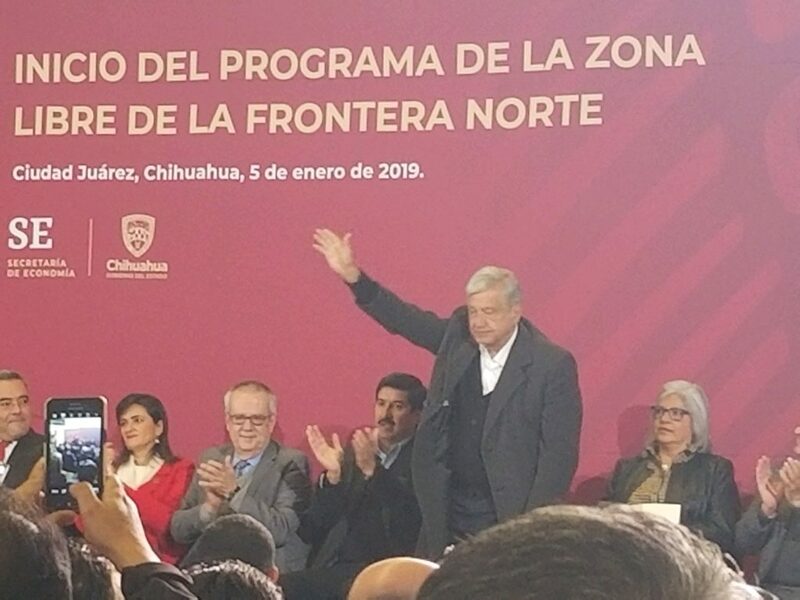 The border is a vibrant area to live and work, and our cross-border cooperation should be held as an example to the rest of the world. It has been like this for centuries, and it will survive political parties and presidential administrations that come and go.